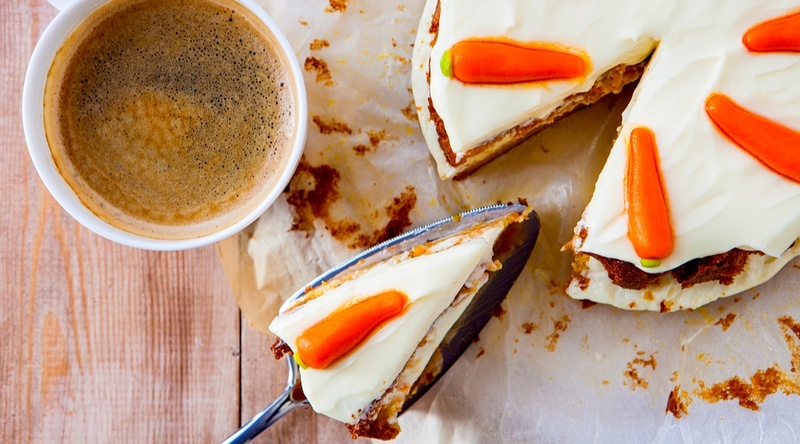 How does a giant slice of carrot cake sound? How about a slice of the World’s Largest Carrot Cake? To mark their 50th anniversary, Guildford Town Centre in Surrey is celebrating in a big way. Among the events and specials they’ve got going on, the mall is attempting to set the Guinness World Record for the world’s largest carrot cake, baked by Surrey’s Saint Germain Bakery. On Tuesday, November 8 at 12:30 pm–Guildford’s 50th anniversary–a Guinness World Record adjudicator will be on hand in the mall’s centre court to make the official announcement, followed by the official cake-cutting by Surrey dignitaries, members of the Guildford Town Centre Walking Club, and representatives from Scotiabank and Orange Julius, who were among the original retailers. And, yes, once they cut the cake, they will hand out slices to the lucky shoppers. The first 1,000 shoppers to get cake could be further lucky, as this kicks off an afternoon of prizes and giveaways. Baking and assembling is well underway for the World’s Largest Carrot Cake attempt; we’ll find out Tuesday afternoon if this cake cuts it.